Get your best beach body ever – with VIANESSE! 87.327 women say thank you! The summer vacation is close and many women want to get in shape for their bikinis now. Not the pounds you lost are essentiall for the perfect beach body. It´s the circumference of your belly or thigh. Drink Water. A lot of Water! That’s the most important rule for the upcoming hot summer season. Water has the ability to take the toxic substances out of your body. But how much is enough? Basically you could say: The higher the temperature, the more you should drink. But not less than 2 liters of water a day. Verified by latest studies: The more water you drink, the better the function of your metabolism and fat burning. Water enables the muscles to burn fat without any effort. But before they do, you have to train them. 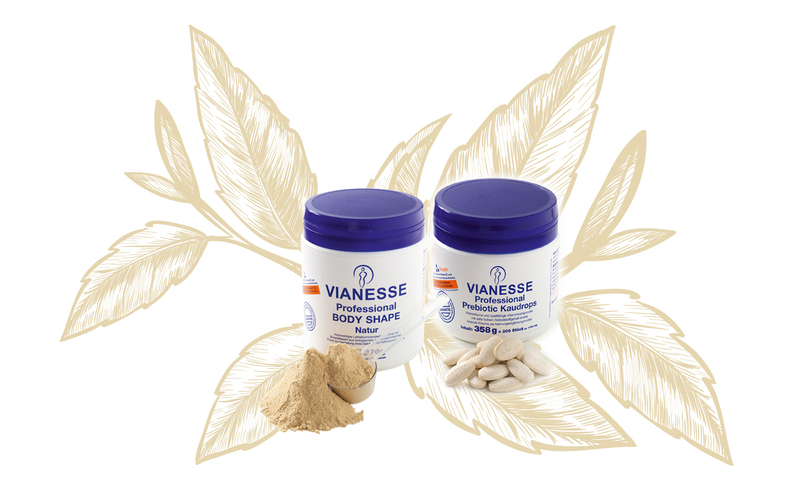 The easiest, fastest and safest way is our tasty and family-friendly VIANESSE BODY SHAPE. Periodical movement guarantees best results. Every little walk speeds up the effect of VIANESSE BODY SHAPE and Professional Prebiotic Kaudrops (chewing drops). VIANESSE is the way to your dream body. Start now! You will love it. ¡Hágase ahora cliente VIP de VIANESSE® ! Elasticidad, infalibilidad, orientación hacia el futuro – estas cualidades debe tener tu socio. Con VIANESSE conseguirás un socio que cumplirá exactamente tus expectativas.